Tom has an adventure one night while he is supposed to be asleep in his bed. Some girl pirates let him join their pirate ship and that night they invade the evil Captain Patch’s camp and sail away with his treasure chest. Tom is a very brave boy, but he is now a very sleepy little boy, too. One little pirate piggy doesn’t want to take a bath, so he comes up with all kinds of adventures to go on so he doesn’t have to get clean. His very smart and wise mama, however, comes up with a different plan that steers him in the right direction. 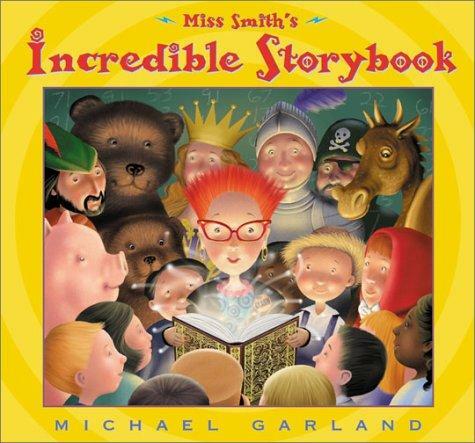 Super cute book that will speak to the little adventurer in your house. 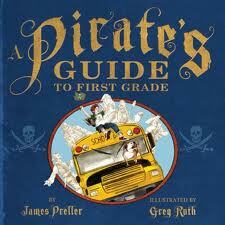 If you have a first grader who loves to get their pirate talk on, then this is the book for you! Actually, it probably doesn’t matter if you have a first grader or not…any pirate lubbin’ scallywag would love this one. 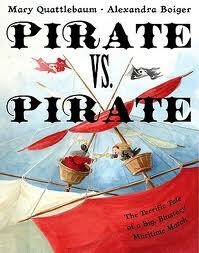 If you like to get your pirate voice on while you’re reading, then this will be a fun one for you. Bad Bart rules the Atlantic while Mean Mo rules the Pacific. They meet up somewhere in the middle and have a showdown. They test their skills in swimming, throwing cannonballs, arm wrestling’ and eating hardtack. The final competition is what leads you to the end of the book which might be a bit of a surprise. Super cute. This is my new favorite book! Edward loves to read…books, cereal boxes, seed catalogs…you name it, he likes to read it, but his favorite is adventure stories. Well, one night while he is asleep he wakes up to find pirates surrounding his bed. 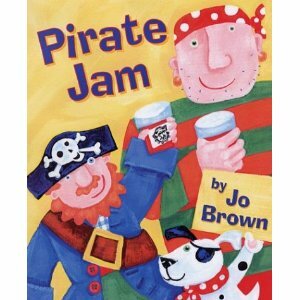 They have come to get the pirate book Edward has been reading because they think it might tell them where their treasure is buried. Edward would happily give it to them, but it’s a library book…they will just have to wait until he turns it in. After some begging and pleading from the pirates, Edward decides that they can read it right there in his room. He gives them the book, and they huddle over it for a while and then confess that none of them can read, so Edward reads it to them. Not only is this story adorable, but the illustrations…all of the pirates huddled around Edward’s bed as he reads to them…are priceless. LOVE it! My boys were so excited the day that these two fun and talented authors came to their school, I knew I wanted to review one of their books on MommaReads. I contacted them and they were gracious enough to send us not only the book A Pirate’s Quest, but also the video, The Riddle in a Bottle, that goes along with it. 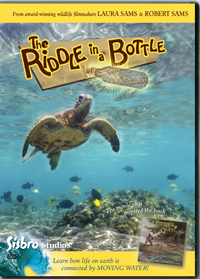 The Riddle in a Bottle is a funny, witty and educational film that covers everything from currents, to the water cycle, to ocean and pond life. Your kids will not only love this movie, they will learn and laugh out loud at the cute and funny animal voices all while they are trying to solve a riddle. 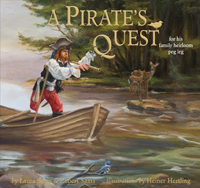 The book, A Pirate’s Quest, is about a pirate who has lost his peg leg in a lake. He realizes that the same currents that took his leg could also help him find it, so he travels through lakes, streams and oceans vowing to never give up until he does find it. I would recommend watching the movie first since it does a great job of explaining how water moves on the earth and then reading the book. This movie and book are fantastic together. Two thumbs up! They may not know how to hold a treasure map or dig for buried treasure, but they make great strawberry jam and know how to knit fantastic sweaters. A cute story of two pirates who get kicked out of pirate school and learn how to make their way in this world with some unexpected talents. I would be remiss if I didn’t say this book is illustrated by Nadine Bernanrd Westcott and anything she does is usually a keeper and this book is no exception. 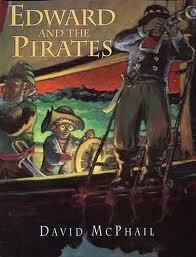 This pirate tale presents itself as a collection of short poems. 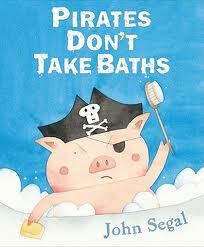 Some of the poem titles are: What Do Pirates Eat?, Do Pirates Take Baths? and What Do Pirates Wish For? 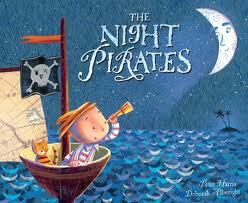 This is a short and sweet read with adorable illustrations to accompany the pirates adventures.